With my produce now being delivered weekly, rather than bi-weekly, I am finding myself with leftover items when the weekend rolls around. This equates to some creative cooking. I still had some giant carrots from the previous week and decided to make some spiced carrot bread with them. This bread is quick and easy to make, the challenge is waiting for it to bake and cool because it smells so incredibly good while in the oven. You just want to eat it right away! My entire house had the aroma of sweet spices wafting around for days, perfect for fall. While this would be fabulous with a cream cheese based frosting, I wanted something that didn’t require refrigeration. It gives the bread just the perfect amount of sweetness. Enjoy it as is for breakfast or topped with whipped cream for dessert, either way you will be indulging your sweet tooth while getting in a healthy serving of veggies. 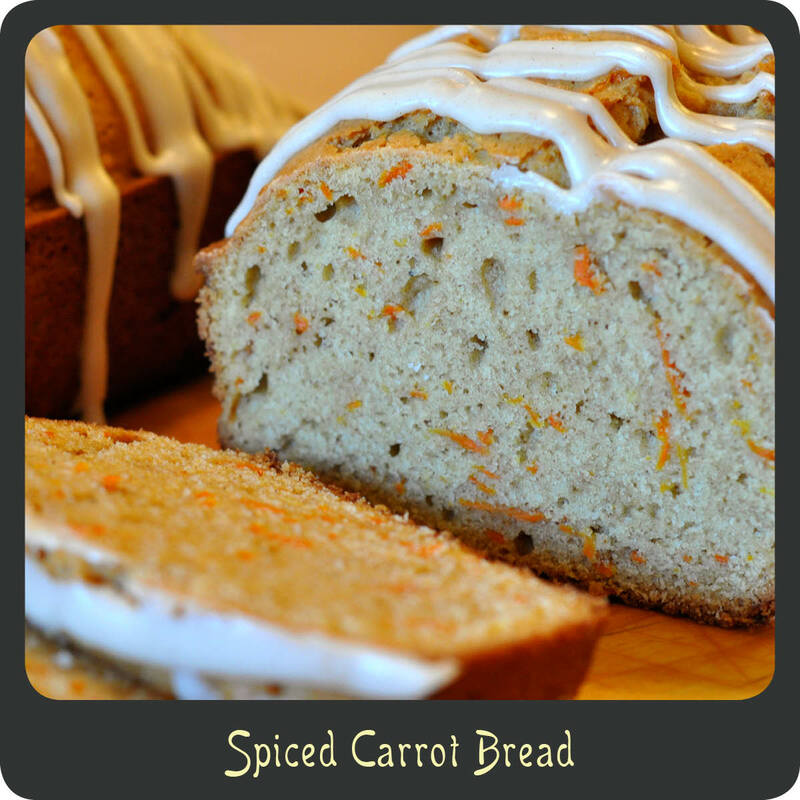 Note: This recipe makes two loaves of spiced carrot bread. Enjoy one now and freeze one for later! Spray two loaf pans with non-stick cooking spray. In a large bowl whisk together oil, eggs, buttermilk, vanilla, and sugar. In a second large mixing bowl mix together flour, baking powder, salt, cinnamon, baking soda, nutmeg, ginger, and cloves. Bake for 60–70 minutes or until a toothpick comes out almost clean when inserted in the middle. Allow loaves to sit in the pans for 5 minutes and then carefully remove and place on a cutting board or cooling rack. Allow loaves to cool completely before frosting. Once the loaves have cooled completely stir together the melted butter and water. Add in half of the powdered sugar and beat using the fork until smooth. Add in the remaining powdered sugar and continue beating until the frosting is nice and smooth. Drizzle both loaves with the frosting and allow to set for 15 minutes before slicing. I am going to add buttermilk to my grocery list and bake this ASAP!! Look so good! !